Starwood has lots of great hotels all over Asia and Australia. And you can book them with Starwood points you’ll earn from the sign-up bonuses on their cards. The sign-up bonus on The Starwood Preferred Guest Card from American Express (personal and small business) has increased to 30,000 Starwood points after meeting minimum spending requirements. 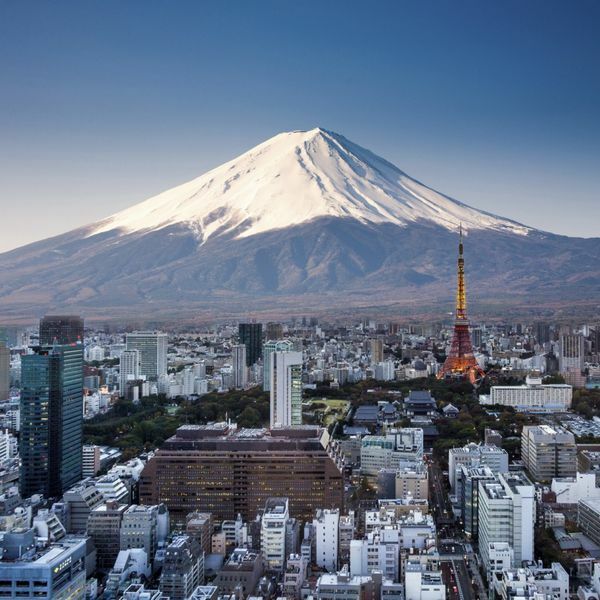 Explore Asia and Australia With Starwood Hotels. Maybe You’ll Start in Tokyo? It’s possible to get both cards at once. Just be sure you’re comfortable meeting the minimum spending requirements! I haven’t stayed at all the hotels on the list, but I chose them because of their locations and reviews. I’d love to visit them all someday! The St. Regis Beijing is located in the heart of the business and shopping district and near the Forbidden City. So you’ll have plenty to experience! 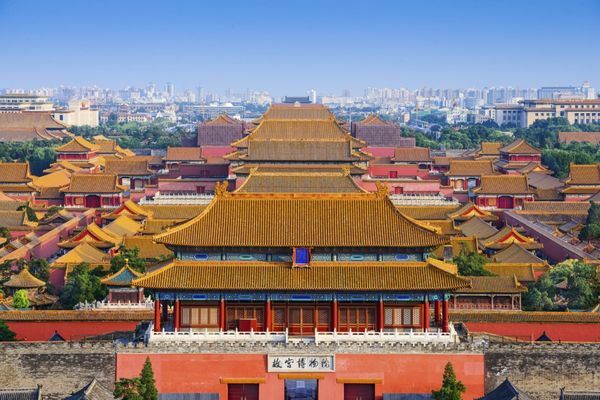 Explore the Forbidden City with The St. Regis Beijing as Your Base! It’s a Category 5 hotel, and a night here costs ~$221 per night or 16,000 Starwood points for a Deluxe Room with a personal St. Regis butler! 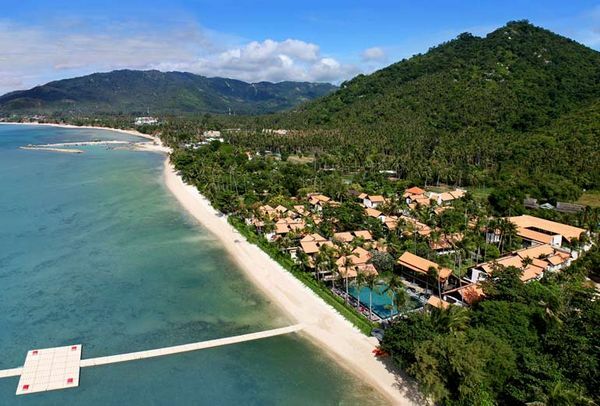 A Category 5 hotel, Le Meridien Koh Samui Resort & Spa is located off the eastern coast of Thailand, with its own private access to Lamai Beach. You can take yoga classes at sunrise, get a spa treatment, or lay out next to the pool. Be sure to experience the heritage and local culture of the surrounding area. And the amazing food. Thai food is 1 of my spicy favorites! 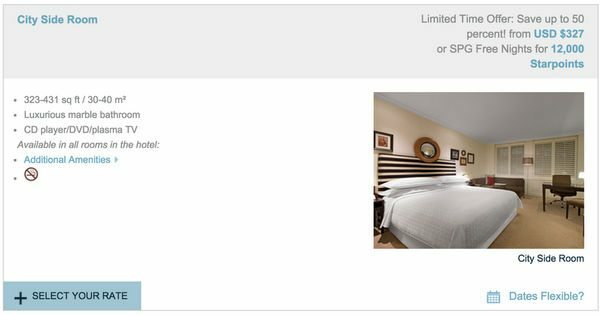 A 2-night stay costs ~$367, or 24,000 Starwood points. This would make a perfect tropical getaway! 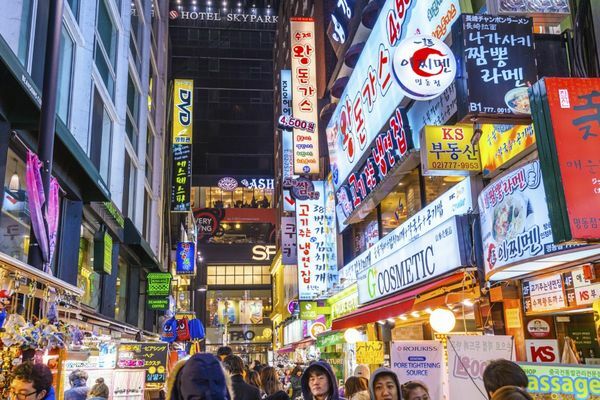 Stay in a “Wonderful Room” in wonderful Seoul for ~$223 a night or 12,000 Starwood points. Folks love Seoul, and the area the around the W Seoul Walkerhill. …but is a short train ride to all the hustle and bustle of downtown Seoul. This is a Category 5 hotel, and folks love the modern feel of the W brand! 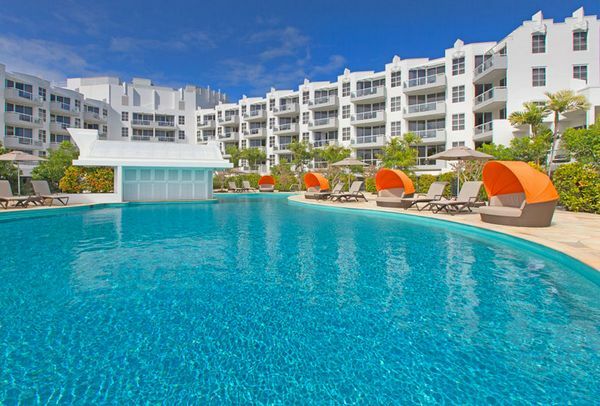 Located north of Brisbane, the Sheraton Noosa Resort & Spa is a Category 5 hotel. Soak up the Sun in a Large Lagoon-Style Pool…or Get in the Car and Go Surfing in the Ocean! Brisbane is known world-wide for its surfing. In fact, you’ll be driving distance to world-famous Surfer’s Paradise. Or you can explore the area around Australia’s Gold Coast. A night here costs ~$302 or 12,000 Starwood points. If you go in December or January, you’ll be just in time for Australia’s summer! 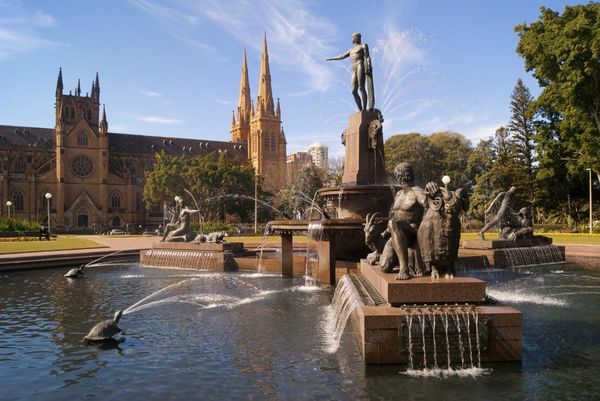 By November 2015, Sydney will have 4 Starwood hotels. All of them are centrally located, but guests seem to love the Sheraton on the Park. Which park? Hyde Park, named for the 1 in London. You’ll be walking distance to Sydney Harbor and the Sydney Opera House. A Category 5 hotel, nights here start at ~$327 or 12,000 Starwood points. This hotel would make a great starting point to explore Sydney! There are many Starwood hotels in Asia and Australia where you can get Big Travel with Small Money! 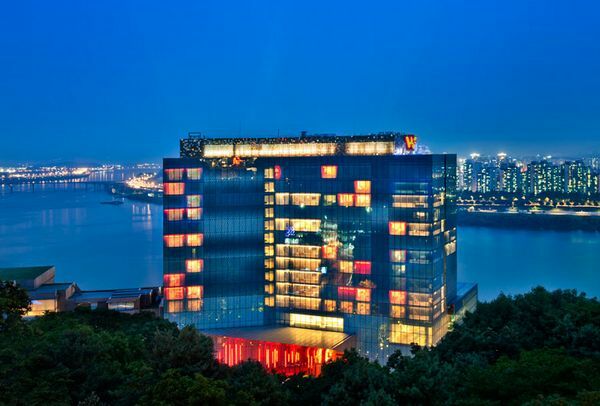 Stay at hotels like the W Seoul Walkerhill, Sheraton on the Park in Sydney, or The St. Regis Beijing. The sign-up bonus on the AMEX Starwood card (personal and small business) is usually 25,000 Starwood points, so you’ll get an extra 5,000 Starwood points with the current 30,000 point sign-up bonus. 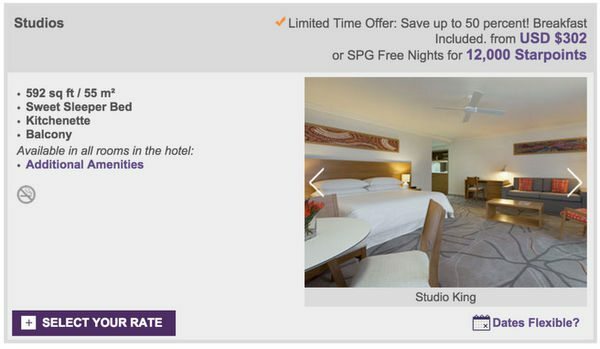 That’s valuable because Starwood points can be worth a lot of money, and they’re hard to earn. The sign-up bonus is only this high for a few weeks each year, and the offer expires September 14, 2015. Do you have a favorite Starwood hotel in Asia or Australia? Share your top picks in the comments! My buddy from Brisbane is here in the US for a month and he was just telling me Noosa is as good as it gets for beaches so staying there is a no brainer (there and Fraser Island). Sure they’re nice hotels, but what terrible redemption rates! 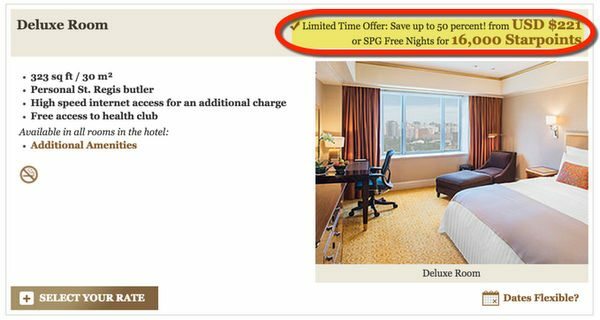 By the time you slap on a promo code to the paid rate, your SPG starpoints would hardly be worth 2 cents in these cases. Why shouldn’t I just use a 2% back card? Guys the way to look at this is they I would never pay such outrageous fees to stay at any hotel. If I got 2% cash back I am keeping the cash and staying in a cheap hotel. I think most posers/bloggers would do the same. They get picky only on someone else’s dime. I agree with @Daniel and @David. Most of these are examples of how not to use SPG points. For example, I can stay at the Cat. 4 Westin Kyoto in the spring for 10K points with room rates going for $371/night.